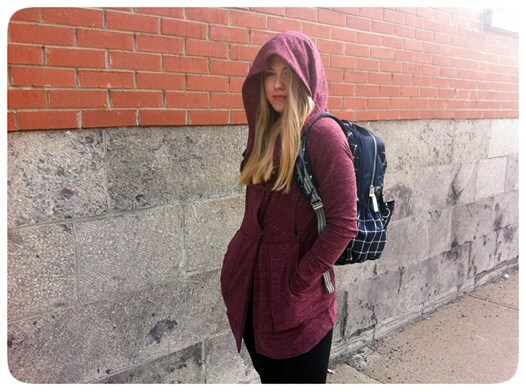 The new Find Your Centre Wrap ($138, french terry) in Heathered Marl Rustberry and gray (don't have a color for this). There is a Heathered Speckled Black version but this looks too light. I have the light gray it's called heathered speckled black/black but it's defiantly not heathered black. Weird. Cute but I needed to size down 1 size. I could have gone down 2 sizes but bottom band wouldn't come together when buttoned up. Has anyone tried the Awesoma Henley? I want to pull the trigger on ordering, but I am so in between a 6 and an 8 that I don't want to do so until I can get some idea on how it fits. If anyone can help, thanks!! LLA, looking forward to your seawheeze highlights! By the way, has anyone tried on the denim skinny groove pants? I am between 2 and 4, take 2 in Luon and 4 in luxtreme. Any recommendation? TIA! Wow, the rust berry one looks so comfy and I love the draping! At $138, it is a little steep, but I think I'll reach out for it pretty often. OT, but does anyone think more vinyasas would be released? I love the bumble berry vinyasa, but with a warm toned complexion, I'm going to look washed out in it. :( Some pretty colors like the Purple Fog and Real Teal are coming out and I hope vinyasas in these colors will follow! Does anyone remember seeing this uploaded to the US side? I don't recall seeing it on the upload. Thanks! And thanks for the Seawheeze detailed report. It looked like a great time. I found a herringbone WUP in our store. Compare with the ones from last year, I definitely love the old ones better. This year's herringbone is darker, which I don't mind, but it is sort of plastic and harder feeling, not as soft and warm, although it is still thick and opaque, and it is $10 more. I wish I had sized down. I like the material, but it's not luon-soft. They hang a more and don't cling like luon. Hope that helps! Was the find your centre wrap on this weeks upload? I logged on late and didn't see it. Also, I missed out on the white chilly chill vest, but my local stores only got all of the other colors. Do you know if the white was an online exclusive? @619 again -- I ended up getting the denim skinny grooves today and I sized down. The material is rather jean-like, so the bigger size felt more stiff and bagged a little around the knees. They're really cool pants!! I just picked a bumble berry Dance Studio Jacket at one of the associated sellers, local yoga studio. Very rich color. Assuming that it will be uploaded this coming week. I am in between 6 and 8, I went with the 8, and it's a good thing I did it's a little snug! Any one have this in a for they would like to sell?